Devany is the deva of the night. She helps in the process of creation by bringing ideas, dreams and potentials into reality. Devi reflects the light of the sun into the darkness of the night, so that the unmanifest can receive the power to come into form; and so the hidden can be brought to the surface for examination and transformation. 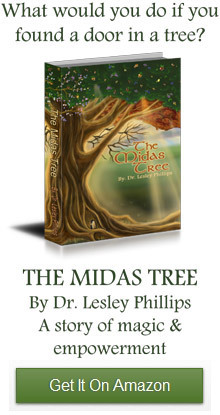 Devany works closely with Devi the moon deva to balance all of the opposites in the Midas Tree such as light and dark. In the story Devany teaches the hero Joshua how to work with his untapped potential for future creations. 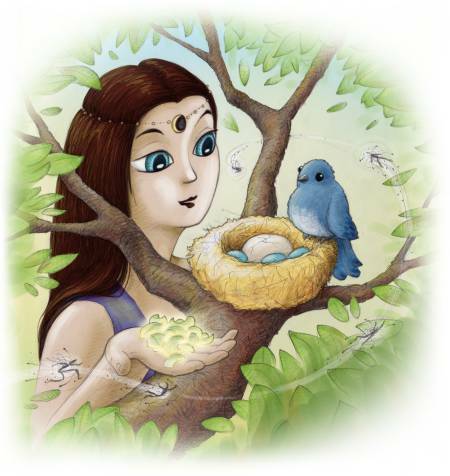 Devany also helps Belle the Bluebird hatch her chicks, including a cuckoo. Do you see that one of the eggs in the drawing is not like the other eggs? Devany accepts that each must learn their own lessons in their own unique way, even though what they are creating for themselves may involve painful lessons. To help maintain her neutrality in situations like this, she uses her vibration of amusement. She is also very beautiful and has long dark hair and piercing blue eyes. In fact her name Devany, means dark haired.